Neil Andersen is the current president of The Association for Media Literacy and the rest of this biography has been shamelessly plagiarized from his LinkedIn profile. (ETA: The AML does not support plagiarism; ergo the rest of the profile is in quotations.) “He has been a computer resource teacher, a literacy consultant, and has presented across Canada, in the US, Asia, Australia and Europe. 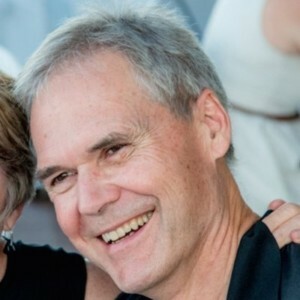 Neil taught English and Media Studies, then served as a Computer Education and a Literacy Consultant for the Toronto District School Board. Andersen has taught Media Studies pedagogy to teachers for three Canadian universities and is on the Board of The Journal of Media Literacy. He has made movies and videos, authored student textbooks, teacher resource books, over 200 study guides, and designed posters, interactive CDs, websites, and programs. He consulted on scripts and wrote study guides for Scanning the Movies, a cable TV show promoting media literate movie watching, for 11 years. AML: Neil, you must have many favourite media texts. If we insisted that you narrow it down to just one, what would you select? AML: That may be an unexpected choice, at least to those who don’t know you personally. What makes it so appealing? Neil: There are many reasons. I have liked sketch comedy forever, as is evident by my attending Second City shows regularly. I enjoy the topicality of the commentary and ways that humour can be used to make values statements. My previous experiences with Second City made SNL a comfortable fit. Saturday Night Live has a very long—and Canadian—pedigree. I had seen—and appreciated—Dan Ackroyd in a short film (Love at First Sight) about a blind man in a china shop before seeing him on SNL. I appreciate the ways that the writing teams co-opt, subvert and adapt life’s experiences for humorous and satiric effects. A recent episode featured a Jeff Bezos lookalike cheerfully explaining how his business decisions were not the Trump attacks that they appeared to be. I enjoy anything and everything Kate McKinnon does. Her characterizations are hilarious and she displays a wonderful range of body language and vocalizations. Part of the pleasure of the show is its variety. Cold openings, Weekend Update and musical guests are regular features, but the sketches vary greatly. Not only doesn’t the audience know what to expect in terms of content, it doesn’t know what direction the sketches will take. Comedic endings are especially challenging, and it is interesting to see which sketches end effectively and which do not, then imagine alternative endings. 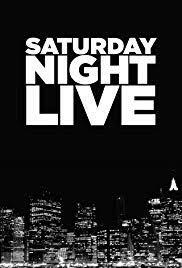 AML: Saturday Night Live has been on the air since 1975. Viewership ratings has varied over 44 seasons (as you would imagine a long-running program would – see https://www.ratingraph.com/serie/saturday_night_live-12845/) Some people accuse Saturday Night Live of being past its prime. Based on your earlier description, we can infer that you still find it timely. What might you say to people who are skeptical of SNL’s place on television? Neil: There are inextricable relationships between cultural products and the moments in history in which they appear. The topicality of SNL and its long history make these relationships especially compelling. SNL is part of a powerful feedback loop. It uses popular culture and politics as its inspiration and content. Because it is live, writers can include references that might only be hours old. This quality sets it apart from other series that might take weeks or months to come to air, and makes it more timely, a quality that is the hallmark of internet communications. Its commentaries and jokes flow back into the culture, often influencing the following week’s social media trends, talk and public affairs shows. This loop is accentuated when SNL members appear in movies, as talk show guests or guest hosts on other shows. Many SNL alumni have become successful actors, writers, producers, etc. Their ongoing activities extend the SNL worldview far and wide. Because Lorne Michaels came up in Canada and has been welcoming to Canadian cast and crew, there has been consistent Canadian content both on- and off-screen. Among these have been Dan Ackroyd, Phil Hartman, Norm Macdonald, Mark McKinney, Mike Myers, and Martin Short. I like to imagine that SNL is a partly-Canadian voice in US culture. AML: That’s an interesting take! Thank you so much for sharing your SNL passion on the blog!